liable martian67: yes, i do still read /. DavidHKMrPowers is it also for redhar linux here? 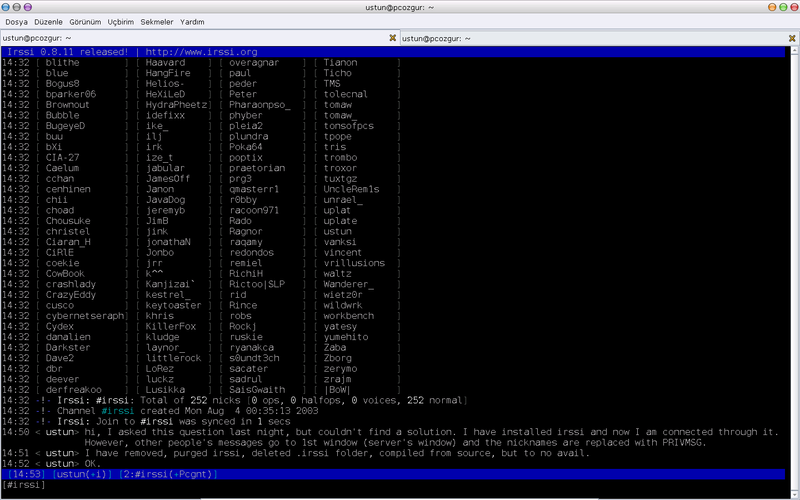 ustunozgur can anyone recommend an irc client similar to irssi? liable why ask for a similar one? one client to rule the world! ustunozgur I couldn't get it to work properly. ustunozgur it has a silly error, and I couldn't fix it. xand liable: what about my being pedantic?